I’ve finished Mike’s single speed and am very happy with the finished product. The fillet brazed fork and stem complement the frame nicely and I love the paint scheme. He picked up some sweet components including the White Industries ENO crankset. Can’t wait to see it built up. 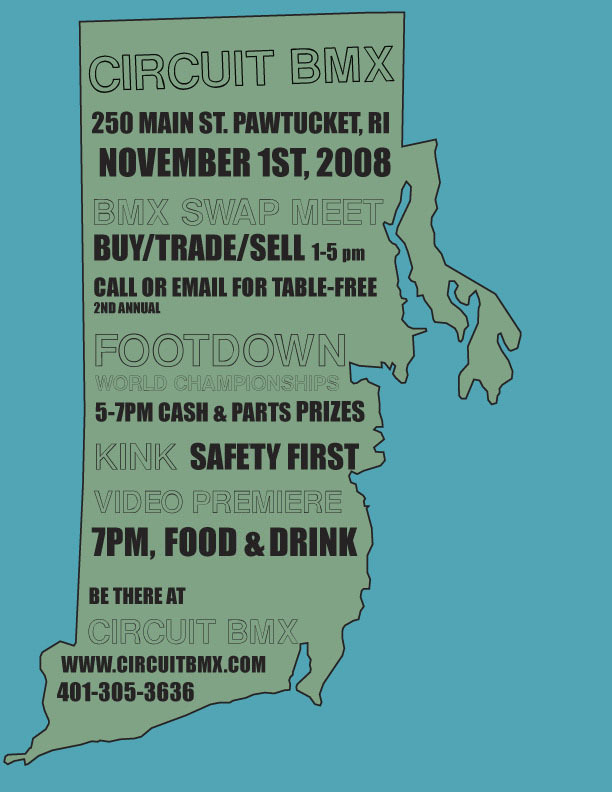 On Saturday, 10 of us headed up to Mike Flanigan’s shop from Providence for the annual A.N.T. open house. Amazingly crisp, sunny, autumn ride through the scenic roads around his shop. On returning, I ate more Indian food than my body could handle. If you missed it, mark your calendar so you make it next year. Here are some shots of us from the day. Jim was missing from the group shot. Where were you, man? In the shop I’m currently giving some new life to an older Nishiki by replacing a crumpled downtube and switching over to track dropouts. It’s almost there right now. Painting will happen later this week. And finally, Katie and Arthie rode off on their new bikes a week and a half ago but I forgot to share the shot. Here are the ecstatic ladies on their new rides. Arthi rides off and Mike’s is coming together. Arthi’s gunsmoke and fuchsia single speed is done. So done that she rode it away two days ago with Katie and her new 8-speed commuter that Chris built. It’s always exciting to see a bike that we’ve built get ridden away by its new owner. After two and a half weeks of metalworking and painting, I have to let go and trust that it’s in good hands. I might be exaggerating a little…but only just a little. Here are the shots I got of it before building it up. The current project is a fillet brazed single speed for Mike. It’s pretty minimalist with very few braze-ons and svelte little dropouts. 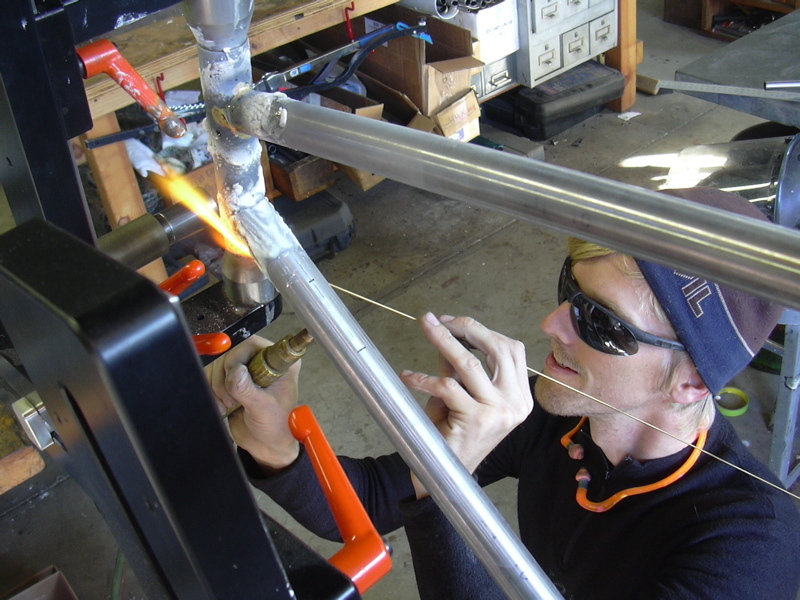 Along with the fillet brazed frame, the unicrown fork and stem are also fillet brazed. So much brass, so little time. More pictures to come soon. Posted on October 9, 2008 November 25, 2008 Categories Bike Building, Bike Painting1 Comment on Arthi rides off and Mike’s is coming together.